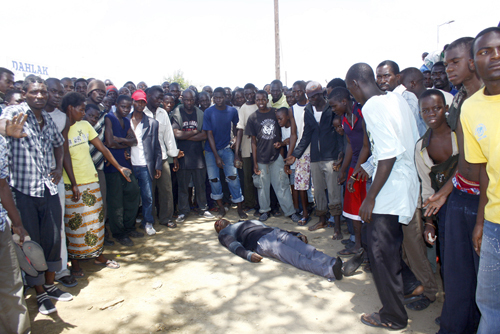 government purporting to be theirs, riding on a manipulative One Zambia One Nation motto, would, without a wink open fire against innocent protesters, killing 19 men, women and children. It is a day that will remind the nationals of Barotseland that indeed, the continued association with Northern Rhodesia, is similar to that of a hunter and the hunted. time Bulozi made a mistake of joining hands with Northern Rhodesia in 1964, the Barotse people have suffered ridicule, discrimination, incarceration, politically motivated arrests, torture and death. Barotse Transitional Government, slapped with a 15 year jail term! new spirit emerging at Namuuso, Bulozi’s independence is only a matter of time!